Dr. Rubinstein is a clinical faculty member at Bastyr Center for Natural Health, where he supervises student clinicians in primary care naturopathic medicine. He also supervises a community care site at Edmonds Senior Center. Clinical interests include the treatment of chronic pain, fibromyalgia and dermatological complaints. Additional training in osteopathic functional-indirect manipulation of the spine and extremities. Dr. Rubinstein fervently believes in the ability of the body to heal itself. He sees the role of the naturopathic physician being to focus the inherent healing ability of the body, and to support it with the most well researched means possible in the healing process. In 2004, Dr. Rubinstein received the Bastyr University Founder’s Award. He then was awarded a two-year teaching fellowship at the University, where he created a presentation on the history of naturopathic medicine and worked extensively on revising the physical medicine course series. Dr. Rubinstein is a contributing author for the Naturopathic Foundations Textbook, and he has worked in private practice since 2004 in Arlington, Washington. 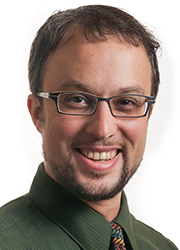 Dr. Rubinstein completed his Doctor of Naturopathic Medicine at Bastyr University in 2004, and he has a Bachelor of Science in Biology from the University of Puget Sound. He is a member of the Washington Association of Naturopathic Physicians and the Bastyr Alumni Advisory Council.